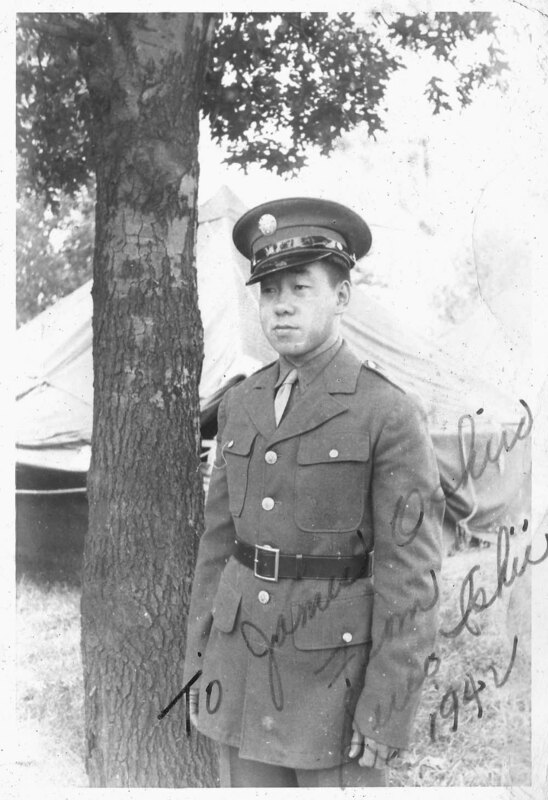 James “Pete” Senjiro Oshiro was born in 1918 in Lahaina, Maui to immigrants from Okinawa. 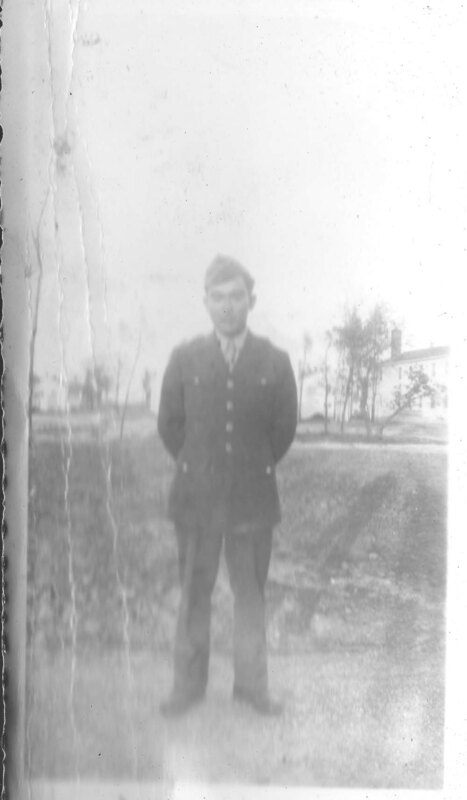 There were 5 children in the family. 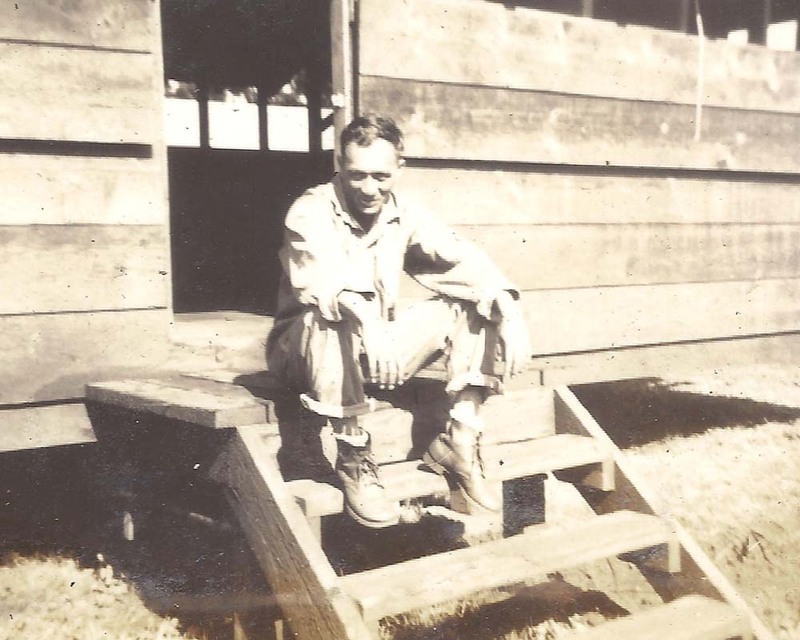 His father died when he was 4 years old, so his mother worked on the plantation and secretly did bootlegging. 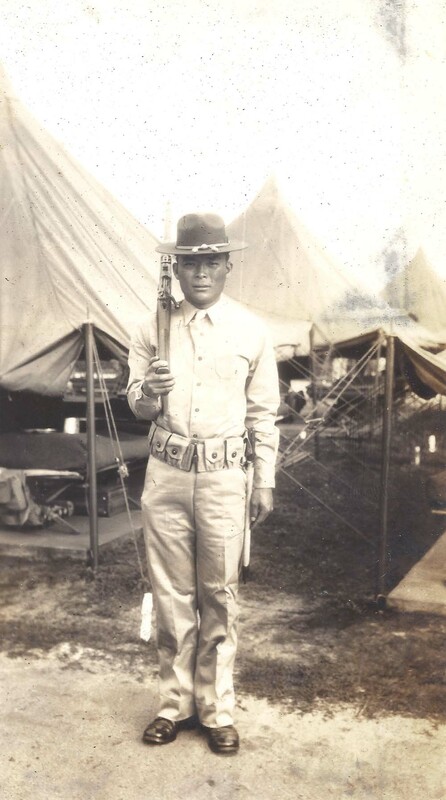 Out of necessity, James taught himself and became fluent in the Filipino language. 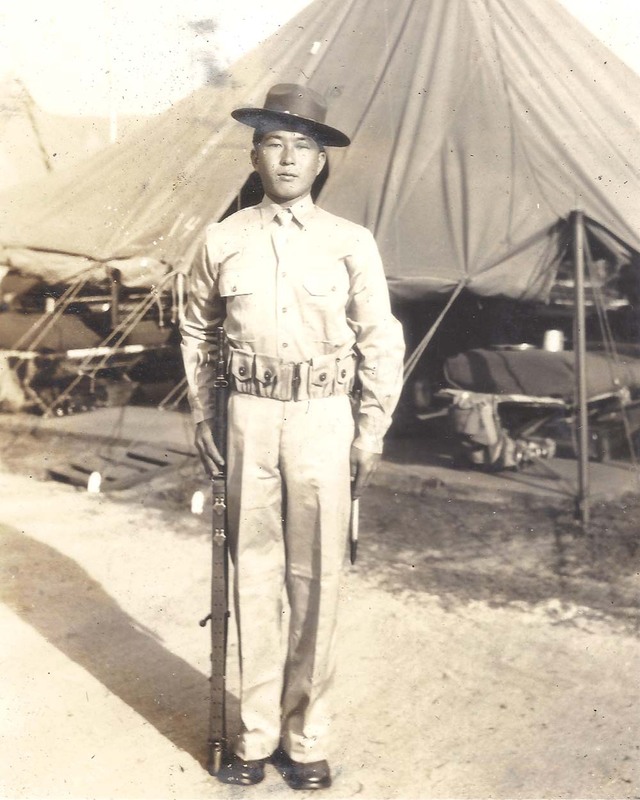 He played football in high school and was offered an athletic scholarship to Punahou, but his mother refused to let him attend that school and he ended up never finishing high school. 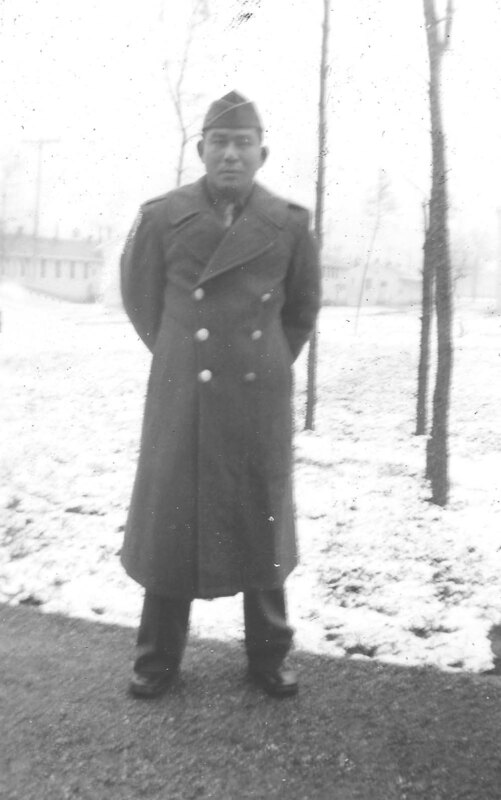 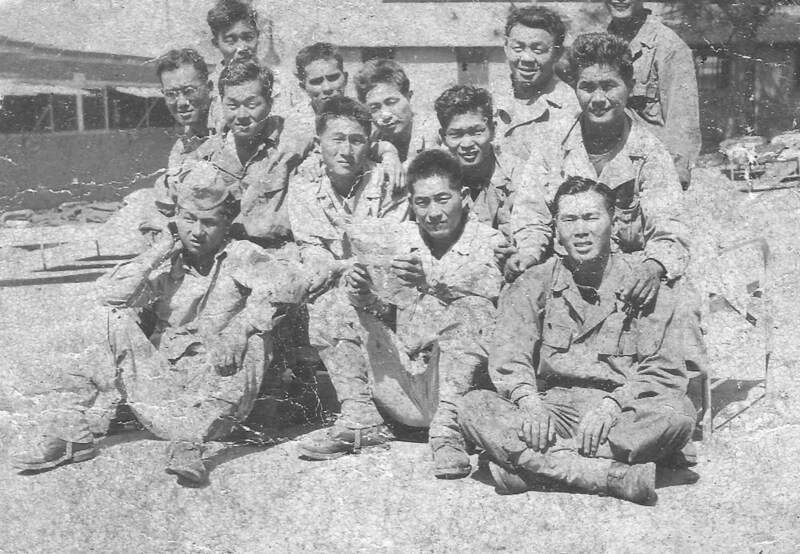 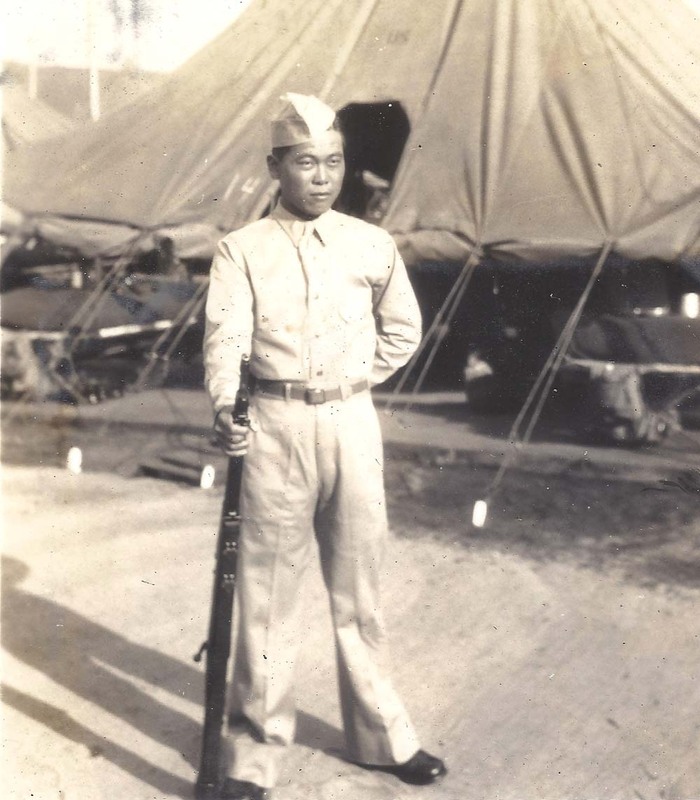 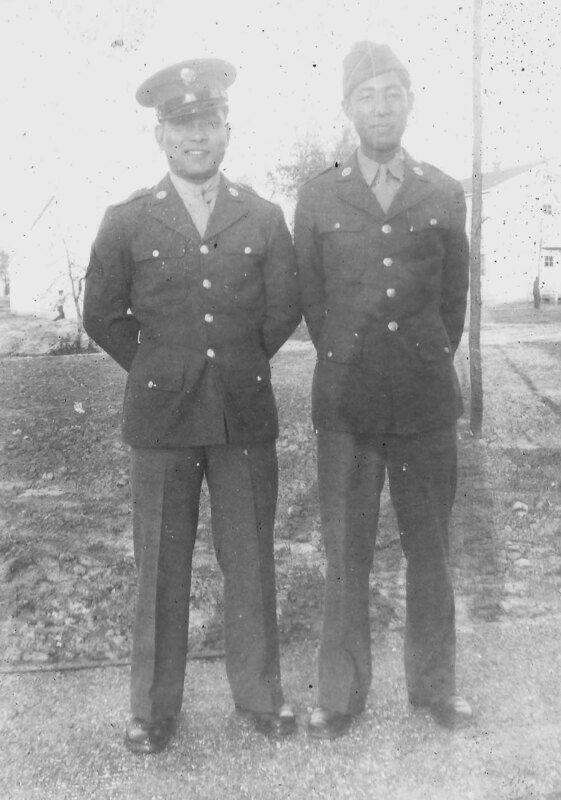 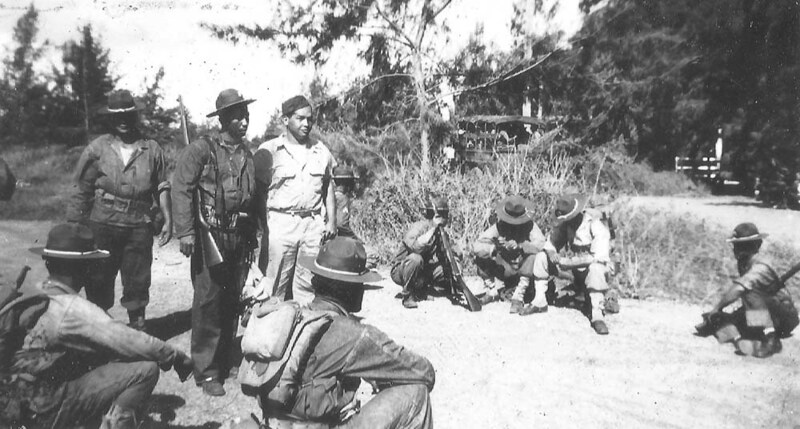 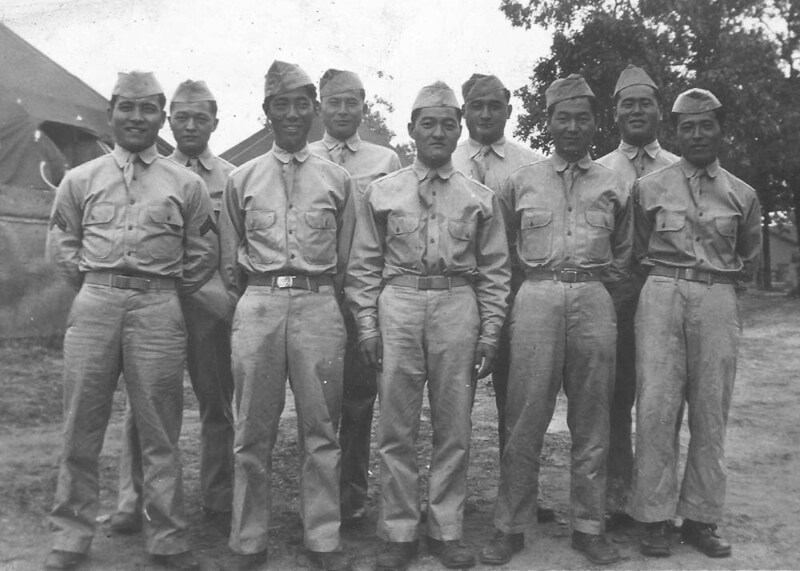 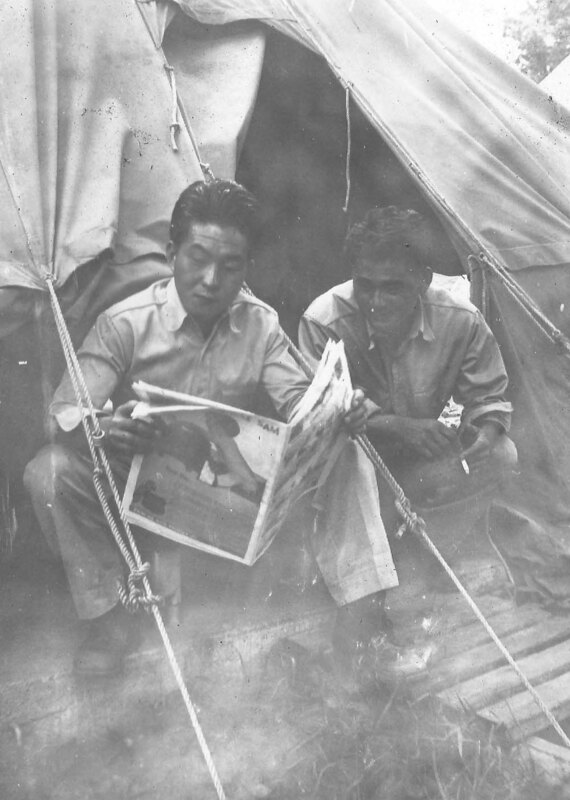 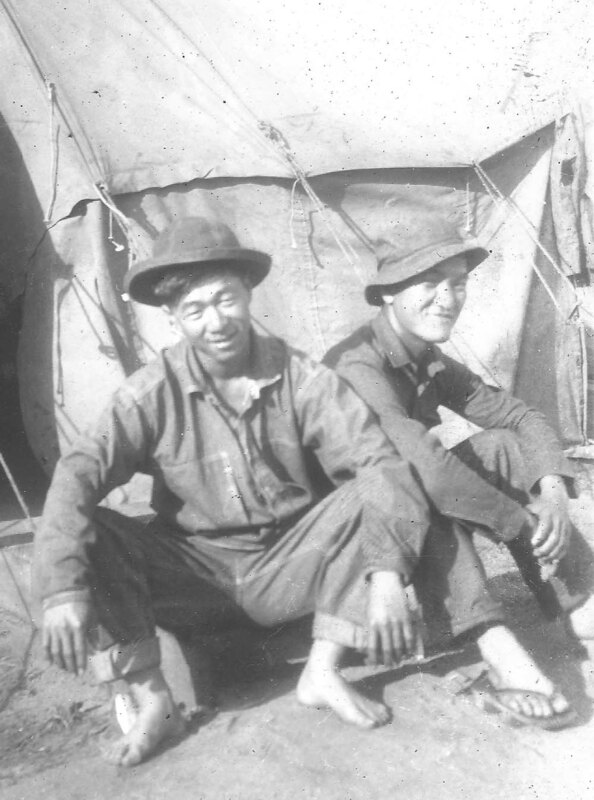 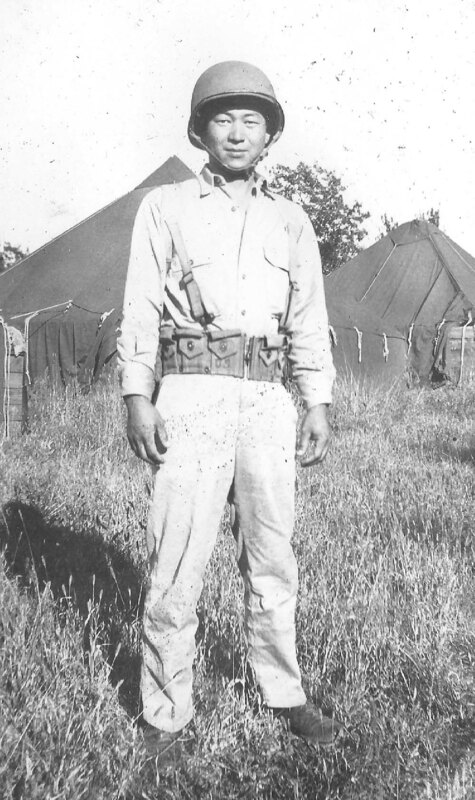 In December 1940 Oshiro entered the army and was an original 100th member of C Company. 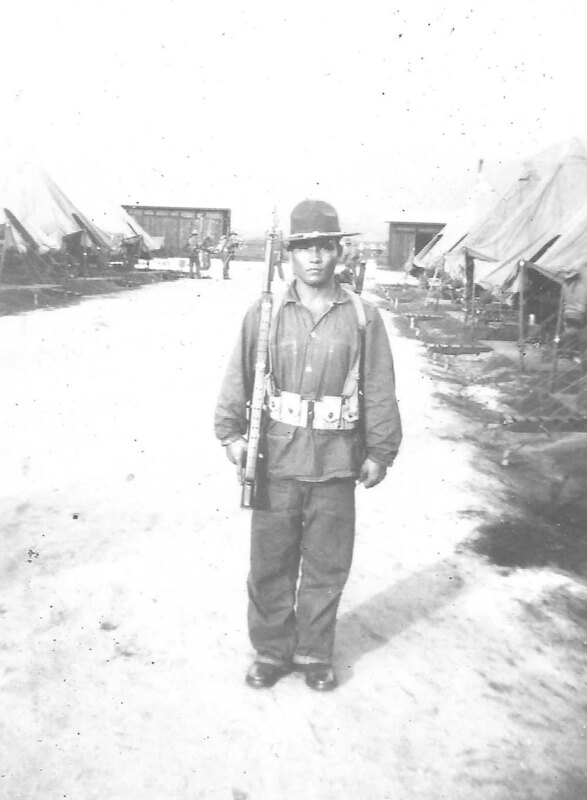 His brother served in the 442 Regimental Combat Team. 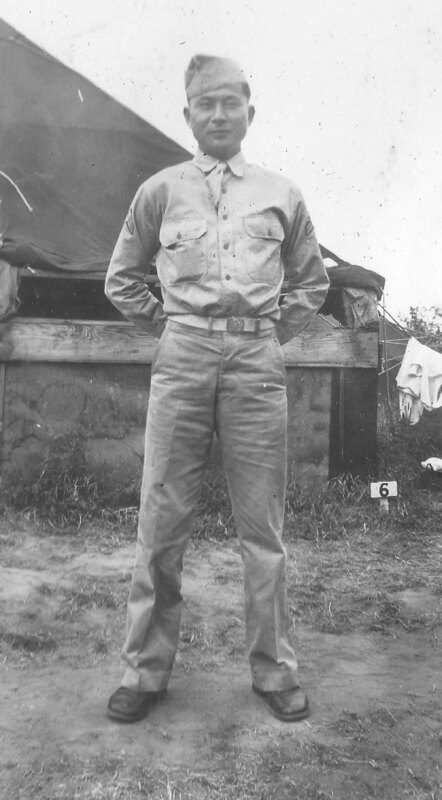 He got married in 1944 while he was recuperating from a shrapnel injury in the hospital at Fort Shafter. 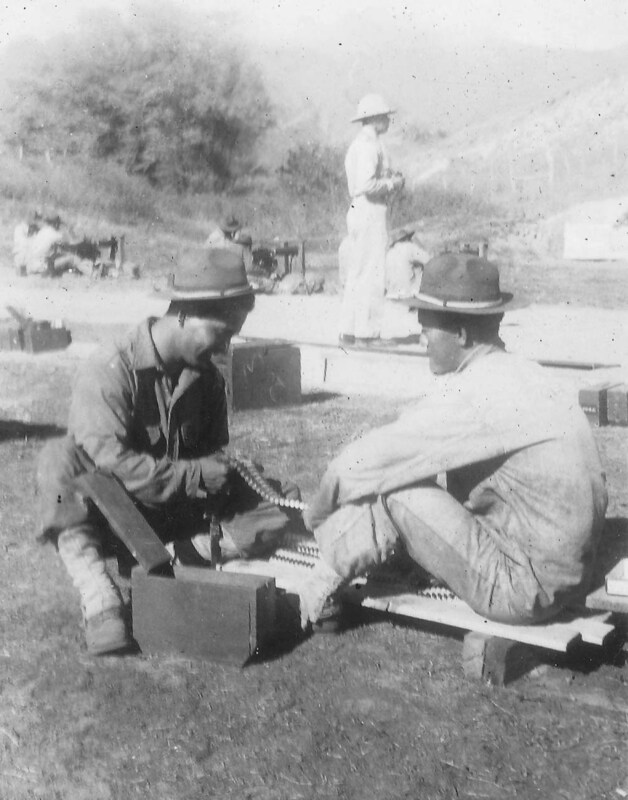 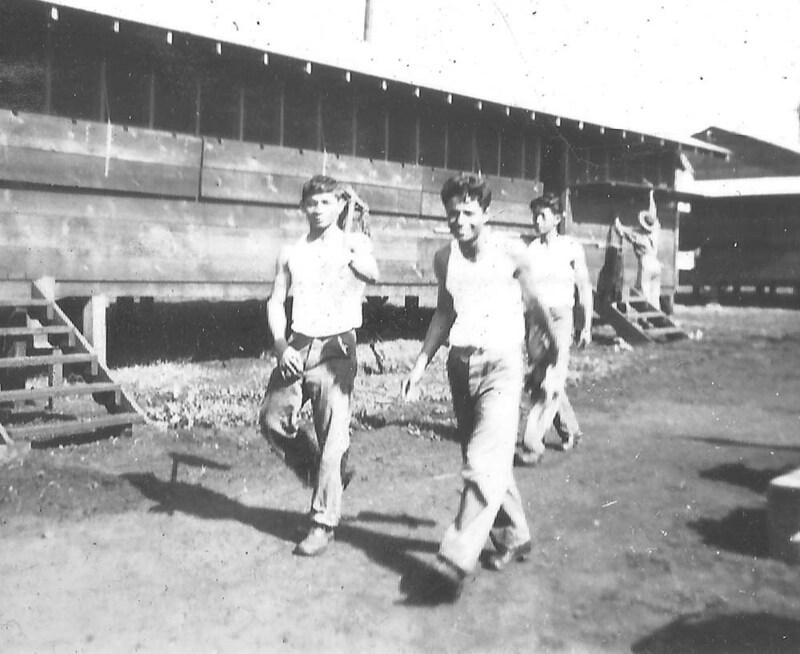 After the war he worked as a mechanic at Schofield and later at the Waialae Country Club in the maintenance department.